Is The Smartphone Killing The PC? 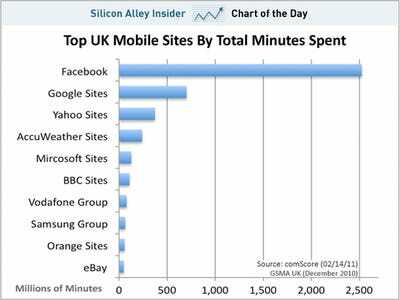 Time spent on Facebook is pretty big on the desktop, but it's downright obscene for mobile, according to data from comScore looking at UK users. ComScore reports Facebook's 7.5 million unique mobile users spent 2.5 billion minutes on its site in December. The next closest competitor was Google with 9.5 million users spending a relatively paltry 702 minutes on its sites. ComScore's UK data is unique because it has access to anonymized mobile web data through the county's five mobile operators. 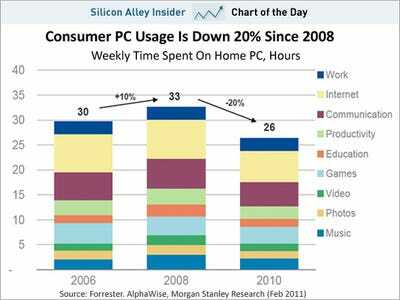 Home usage of the PC is down 20% since 2008, according to this chart from a Morgan Stanley report examining the burgeoning tablet market. What's changed in the last few years? 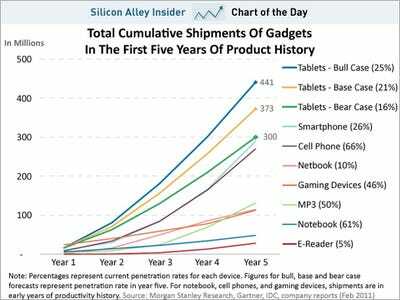 The growth of the smartphones and tablets, says Morgan Stanley. As people use smartphones for more simple computing tasks like web surfing, they use traditional PCs less. Morgan Stanley released a big report on the tablet market earlier this week. 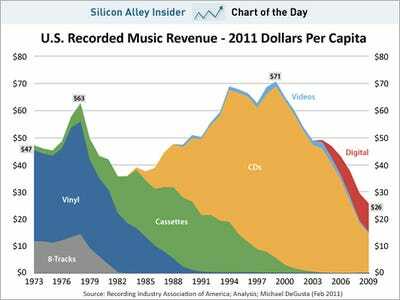 Its essential message -- the tablet market is going to be a lot bigger than anyone thinks. 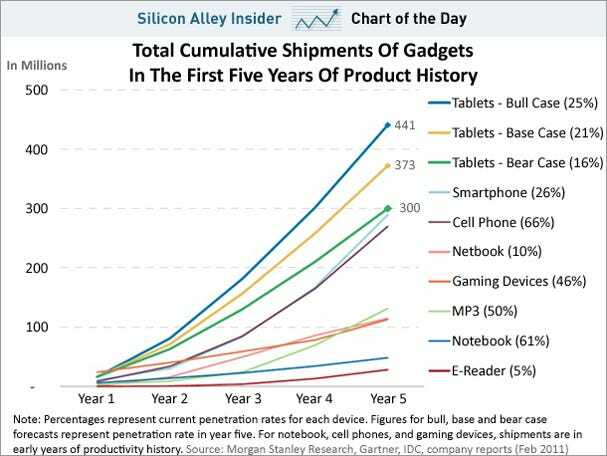 In an optimistic case, Morgan Stanley thinks hardware makers will ship 100 million tablets in 2012, up from 16 million in 2010. 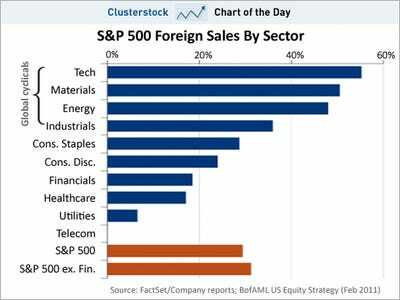 Considering Apple has a lock on touch screen displays this is pretty good news for the Apple bulls.